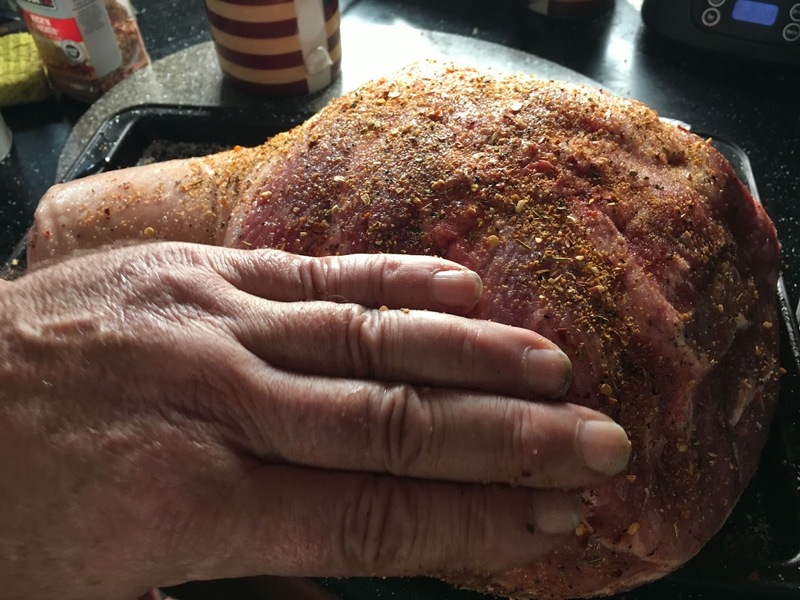 TheWanderer: Easter Pork Shoulder Roast BBQ turns out FABULOUS! 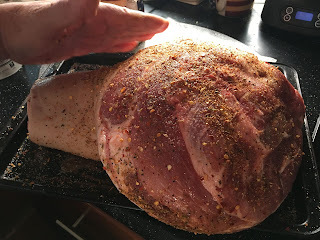 Easter Pork Shoulder Roast BBQ turns out FABULOUS! We had a wonderful time on Easter Sunday when everyone turned out to help us cook an Old Fashioned Pork Shoulder Roast in our Convection Gas Holland Grill. 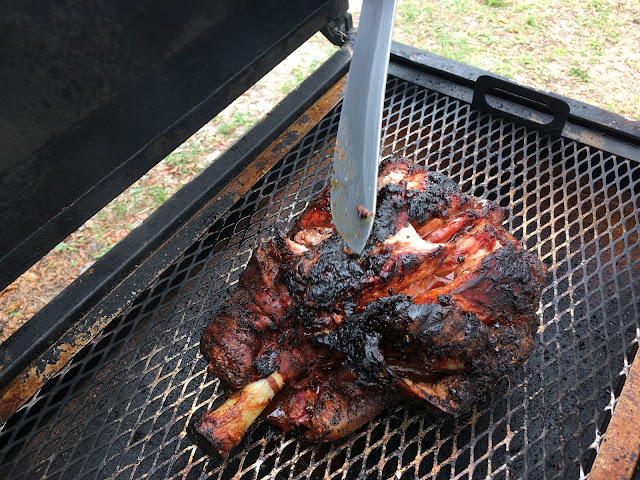 We cooked a 10+ lb Pork Shoulder Roast the Old Way, using directions that our friend the Pit Master gave us. 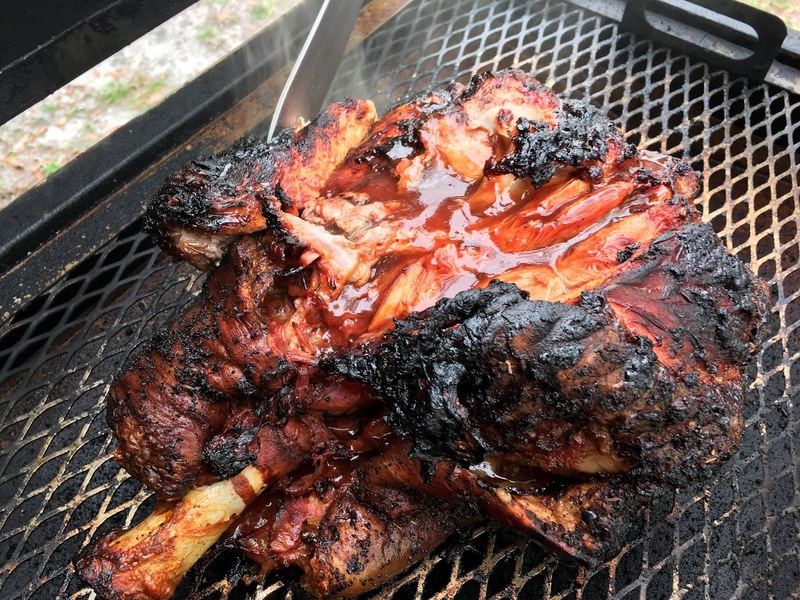 It took more than 6 hours, but resulted in the very best Pork Roast I have ever eaten, and almost a week later we are still eating pulled pork sandwiches! 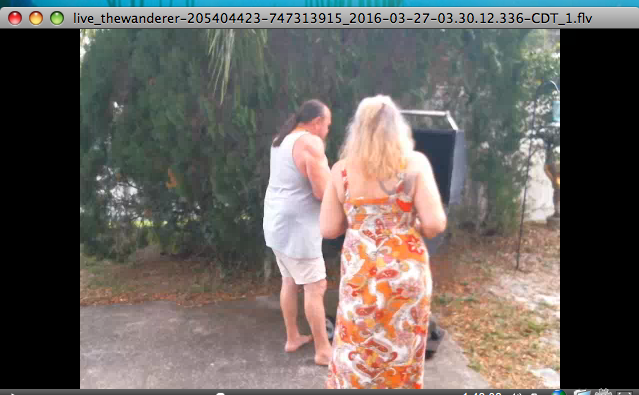 Just wish we could've sent out samples! 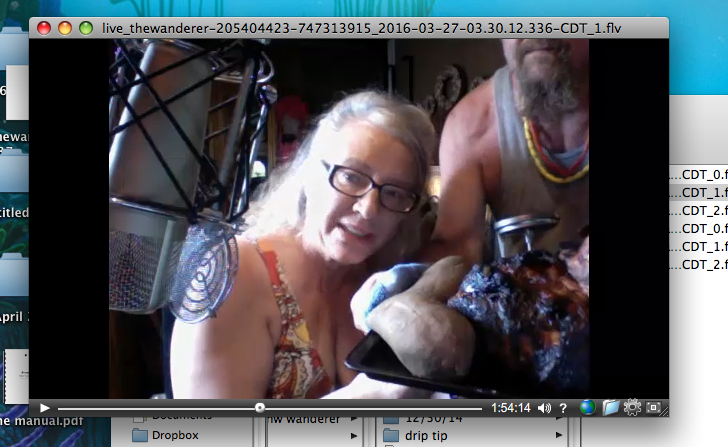 And we produced a LIVE cooking show about it on Vaughnlive!